Give yourself a bit of retail therapy at Troedelmarkt Arkonaplatz and Kurfurstendamm (Kurfurstendam). Popular historic sites such as East Side Gallery and Charlottenburg Palace are in your itinerary. 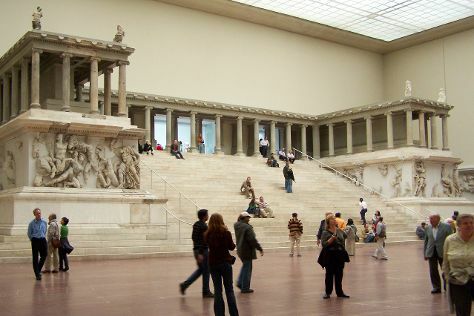 Next up on the itinerary: take a stroll through Potsdamer Platz, explore the world behind art at Pergamonmuseum, tour the pleasant surroundings at Zoo Berlin, and take in the exciting artwork at Sammlung Hoffman. To find photos, where to stay, reviews, and tourist information, you can read our Berlin online attractions planner . If you are flying in from Netherlands, the closest major airports are Berlin-Tegel Airport and Berlin-Schönefeld Airport. Finish your sightseeing early on the 11th (Thu) to allow enough time to travel back home.